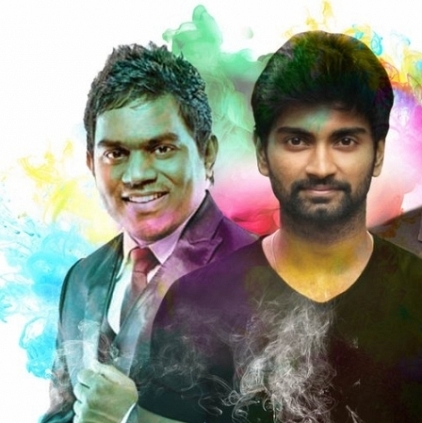 Atharvaa's Semma Botha Aagathey, directed by Badri Venkatesh has music by Yuvan Shankar Raja. The film marks the comeback of the successful Baana Kaathadi trio. The film's teaser was supposed to release on 5th December at 6pm, but due to the sudden demise of our Chief Minister J.Jayalalithaa, the team decided to postpone the teaser release. Looks like the time has come for us to witness it. The film's director Badri tweeted, "Get ready to see a suave mass looking Atharvaa and some compelling Bgm of Yuvan tom. Enjoy with your headphones". Going by the tweet, Semma Botha Aagathey's teaser will be released tomorrow (9th December) featuring Atharvaa in a suave mass look. People looking for online information on Semma Botha Aagatha will find this news story useful.